A Set of Four - 2013-2014 — Stacey B. These 14" x 16" pieces were created late 2013 - early 2014, and represent a set in terms of size as well as narrative concept. 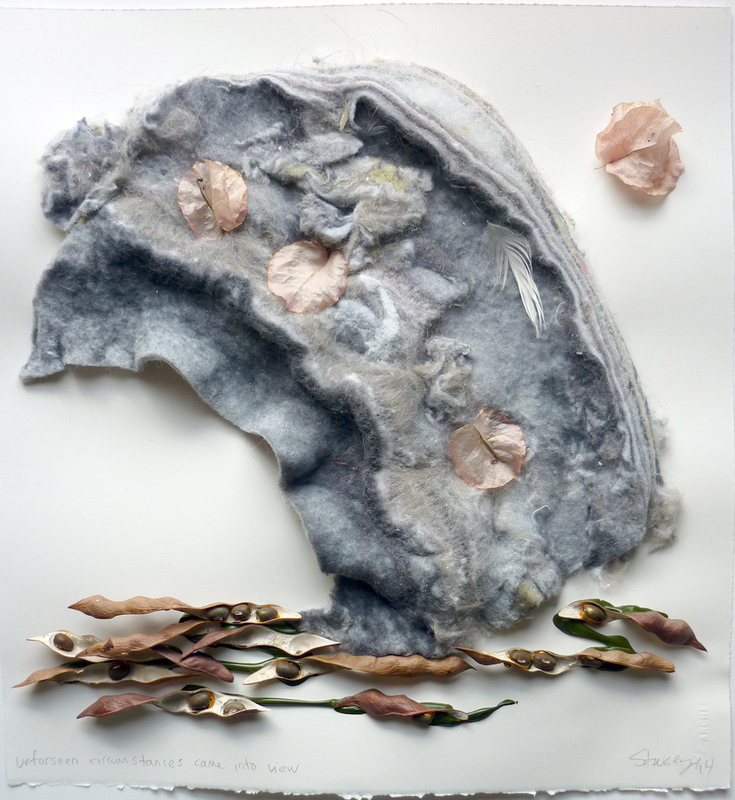 Each work includes one full sheet of remarkably textured lint and additional found objects.